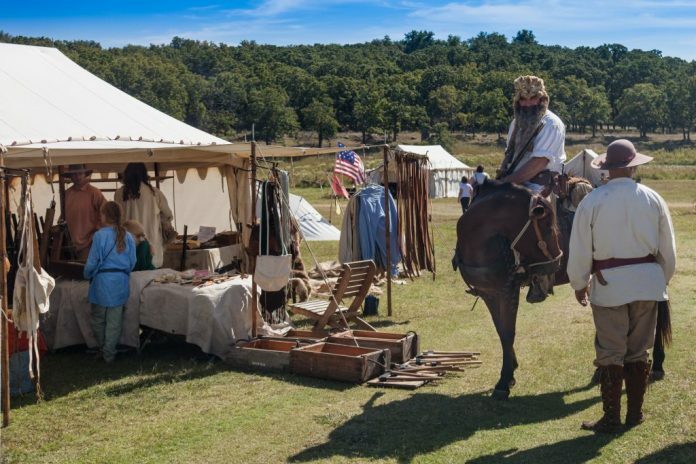 From woolaroc.org: Hosted by Woolaroc’s Mountain Men, Wes and Roger Butcher, the camp has quickly become a favorite for traders and re-enactors from across the country. The camp will be historically accurate, recreating what a settlement of this type would have looked like in the 1840s. The Trader’s Encampment is open to the public and guests are encouraged to park and walk through the camp. There is no additional admission required; regular admission at the gate includes the Spring Trader’s Camp. Many of the campers will set up their tents or tipis and have period crafts for the public to view and purchase. The museum is open Wednesday-Sunday from 10 a.m. to 5 p.m. For details, visit woolaroc.org.